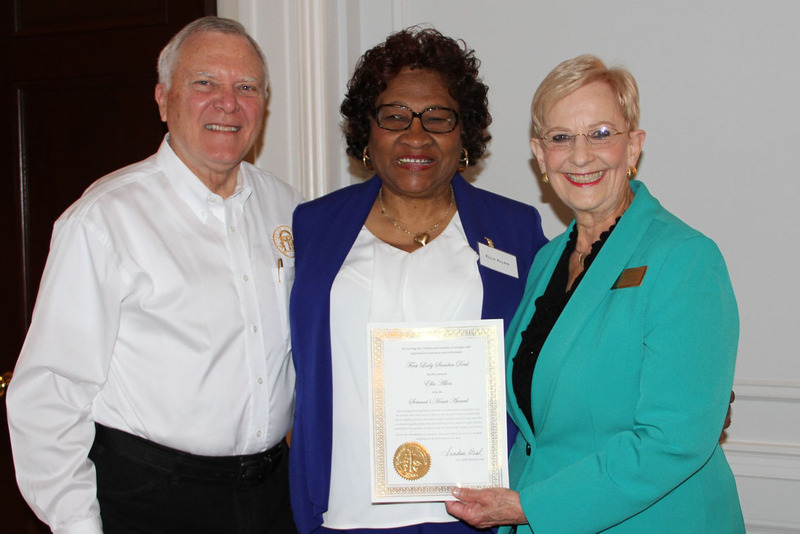 JACKSON, Ga. – The Georgia Governor’s Office has lauded a local woman who has spent five decades advocating for children and their families throughout North Central Georgia. Ella Allen of Flovilla was named one the governor’s recipients of the “Servant’s Heart Award,” an honor bestowed on Georgians who have shown outstanding selflessness and leadership in support of others. Allen serves as executive director of McIntosh Trail Early Child Early Childhood Development Council Inc., an agency that provides child education and health services to hundreds of low-income families across the region. Allen’s career in early childhood education traces its roots to 1965, when she was part of a group of concerned citizens advocating to launch a summer Head Start program to impoverished children in Butts County. Despite opposition from some residents of the county, the group succeeded in establishing early education for poor children. In addition to her leadership role at McIntosh Trail and her service on several volunteer and community service organizations in the region, Allen has been a fierce supporter of her own employees, many of whom are also members of the local community. The agency in 2003 began a collaboration with National Louis University to sponsor a bachelor’s degree program, and since then Allen has spent many hours each week tutoring employees to help make it through the program to earn their degrees. “Ella’s service to the community has gone beyond her role here at McIntosh Trail, and we think few people deserve this recognition more,” said Elaine Brown, program director for the agency, which employs about 200 staff members throughout the region. The Servant’s Heart award was established by Georgia’s First Lady Sandra Deal and is presented by the Georgia Children’s Cabinet, a group of state leaders whose agencies work with child populations as well as leaders from community, philanthropic, education, and business groups. Allen joined nine other recipients of the award at a ceremony at the Governor’s Mansion on January 22. For more information about McIntosh Trail ECDC Inc., visit www.mtecdc.org, call 770-775-4293 or email elaine@mtecdc.org.